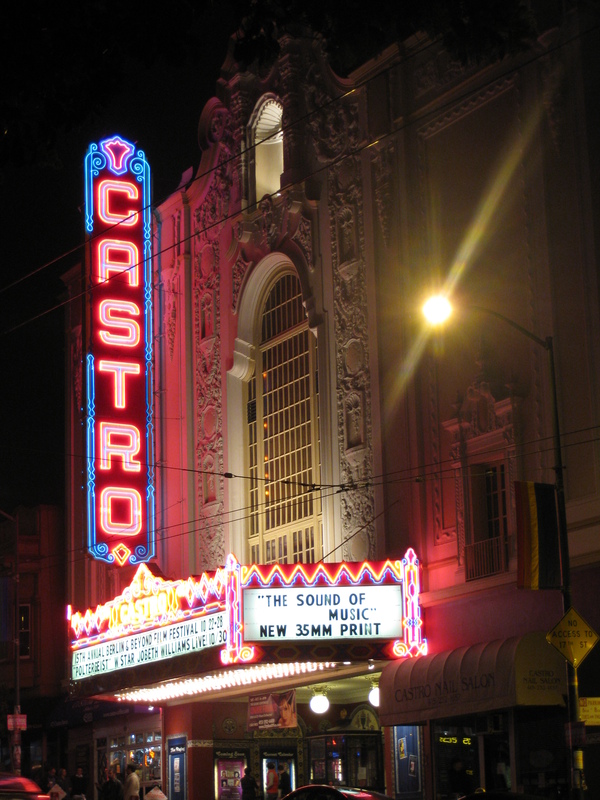 Founded in 2002, the San Francisco Film Critics Circle is comprised of critics from both mainstream and alternative Bay Area publications, broadcast radio and television, and online venues. Its members include film journalists from the San Francisco Chronicle, the San Jose Mercury News, the Oakland Tribune, the Contra Costa Times, SF Weekly, the East Bay Express , the San Jose Metro , Palo Alto Weekly , the Marin Independent Journal , the San Francisco Examiner, KRON-TV, Variety, RottenTomatoes.com and many more. But who are these individuals? How have they become members of the Circle? What is the purpose of the Circle and what does its voice contribute to the national scene of criticism? In the first of a series of research interviews, former EDF editor Michael Guillén returns to the magazine to profile the Circle, its members, and its objectives. 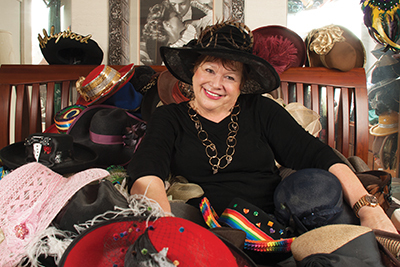 First up is Jan Wahl, hailed by the San Francisco Chronicle as “The Empress of Entertainment; the Movie Maven … a gift to all who love showbiz.” Wahl—I’ll be informal and call her Jan—is the first to admit her visibility as one of the Bay Area’s best-known personalities. She welcomed the opportunity to be among the first batch of research interviews for this column. We meet for late morning coffee at Poggio’s on a radiant, silver morning in Sausalito, sequestered in a corner of the café while the waiters—who all took time to greet her personally—set up for lunch. Seagulls are keening and wheeling over playful seals frisking in the water. Sunshine glints off the beautiful silver hat she’s chosen to wear for our meeting. Jan had mentioned earlier to me the role her mother played in nurturing her love for movies, but she also acknowledged that growing up in West L.A. around the movie business had much to do with her passion for film. On the street where she grew up there were so many movies stars that it was impossible not to call them out as they drove by in their cars: “Oh look, there’s Barbara Stanwyck! There’s Buddy Ebsen! There’s Gene Barry!” She got to know these movie stars by way of their children, her classmates in school. She grew up playing on movie sets. Fortunately, at the same time, her parents were both movie buffs. Her mother believed in representations of strong women (and still does to this day), so early on Jan was watching films with Rosalind Russell, Irene Dunne, Carole Lombard and then, later on, Jane Fonda and Vanessa Redgrave. Her mother’s favorite movie? Harold and Maude (1971) with the indefatigable Ruth Gordon. Her dad liked to play “big bad drums” and hosted lots of parties in their living room to play jazz music for fun, inviting writers and producers and various personalities from the business, so she got to meet a lot of people that way as well. West L.A. was a small town back then, she explains, and her family was invited to a lot of premieres. She recalls seeing Lawrence of Arabia (1962) with Fred Astaire sitting right behind her, and remembers thinking, “If only Fred Astaire were up on that sand; what he could do!” Having movie stars around her all the time allowed her to feel comfortable with talent. She has no shyness about being in the presence of talent. She only wishes actors today were more talented. She finds them less likable. “The real problem with likability among, I would say, a lot of male stars today especially,” Jan offers, “is they don’t have heart and—as they say in Damn Yankees—you gotta have heart!” Watching movies today, Jan realizes she doesn’t really care about the actors past their performances, and doesn’t want to know what happens to them in their personal lives. Something’s been lost that way. Perhaps a sense of gratitude towards a fan base? With so much of that heyday around her, I was curious at what point she knew she wanted to join in the business, and in what capacity? Did she want to become an actress? A screenwriter? A filmmaker? 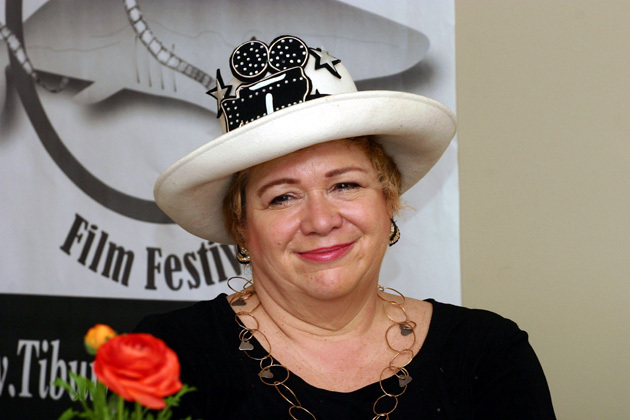 She joined the Directors Guild of America in 1977 and found herself sitting with Mel Brooks and François Truffaut and thinking, “This is where I belong! I want to be a director!” She never wanted to act, even though people told her she should because of her outgoing and funny personality. The recent scandals surrounding Bill Cosby reminded Jan of why she didn’t want to become an actress. “That world is really ugly and sleazy,” she emphasizes, “and it’s very hard for women.” She didn’t want to be objectified and she knew she was too outspoken. Who would have hired her when she kept insisting on strong women’s roles and criticizing turning young girls into Kardashians? Besides, she found moviemaking to be “too slow,” and decided she better do her own thing and turn to television instead. 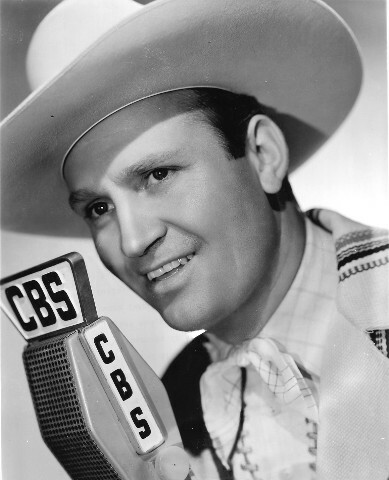 Gene Autry gave Jan her first big break. In high school she was chosen as one of the kids to be on the television show Youth and the Police put on by Gene Autry on KTLA, Channel 5, which he owned at the time. She loved the fast production of television and realized it was more what she wanted to do than the movies. Live television was even better because she could say what she wanted, she could “mouth off” and they couldn’t fix it, a habit she’s still fond of to this day. She also loved the political potential of television. Her parents had taught her to be political, to be observant of politics in movies, and television shows like 60 Minutes were a must-see in their family household. She loved 60 Minutes and wanted to make her way in TV news. She started out as a production assistant, then an assistant director and stage manager, eventually winning a couple of Emmys doing documentaries about women’s issues, which were “huge” in the ’70s. TV stations were doing specials on women’s issues and she asked to be put on as an assistant director, as those crews were making good money because of the Directors Guild and the unions. 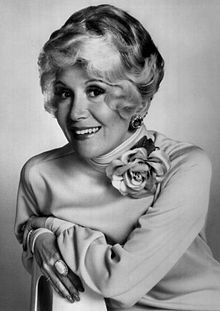 Jan worked with Rona Barrett on TV. She continued working as an assistant director/stage manager for several years in L.A., on television shows like The Lawrence Welk Show and big events like the Oscars® and the Grammys®, alongside columnist Rona Barrett. When I ask if that experience is what trained her in commentary, she replies that no, commentary was a natural gift. In her family she was trained to have opinions and to be talkative about issues around the family dinner table. Her sisters went on to become lawyers, and she became a TV broadcaster. Her mother always said, “Plant your feet and tell your truth.” She does that to this day. She shifted to the Bay Area after falling in love with a man who wouldn’t live in L.A. “Thankfully, I’m still married to him,” she beams. He visited her in L.A., and also in New York when she was working there for CBS News, but he refused to live in those cities. Once she started living with him in the Bay Area, she understood why. She switched over and started doing commentary on different local channels and finally KRON-TV put her on 21 years ago and KCBS about 18 years ago. She’s been doing great ever since, focusing on film a couple of days a week. “It’s all about movies,” she smiles, “movie reviews, movie opinions, show biz news, interviews; but, always movies.” Her success she attributes to the fact that she represents a different opinion. “Not everybody thinks Boyhood was the world’s greatest movie, y’know?” She believes there should be lots of camps precisely because this is the Bay Area and we’re supposed to have a lot of different opinions here. 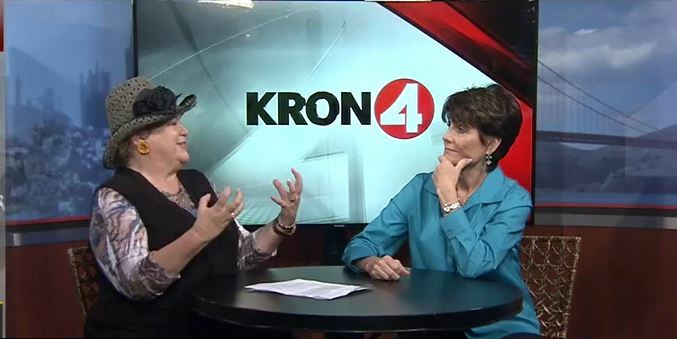 Jan interviews Lucie Arnaz on KRON-TV. I ask Jan how she situated herself among the shifting job titles current in the market: Is she a journalist? A reviewer? A commentarian? A critic? Without missing a beat she identifies herself as a critic because, she says, “I talk about critical thinking. What works. What doesn’t work. Why doesn’t it work? What would make it work better? What could have helped to make it knock itself out of the park?” But she also identifies herself as a commentarian in both her TV and radio spots. She’ll talk about topics like the problem of not seeing older people in roles to provide the richness of lives well lived. Or why women don’t get to direct more often. Jan is a woman of many hats. Admittedly, Jan finds herself to be an old-fashioned voice in the Circle. In order for her to love movies, she has to care about people, as she stated a bit earlier about the problem with contemporary actors not being as likable. Even if it’s a wacky comedy, she has to connect with somebody in the film, and she suspects not all critics feel that way. But she’s glad to offer that voice into the mix. That being said, and her preference for Classic Hollywood being stated, Jan doesn’t find it difficult to watch contemporary fare. She was “high” from watching the great bumper crop of films for 2014. Her three favorite movies on her top ten list were British: Pride , The Imitation Game , and The Theory of Everything . And she went crazy for Birdman . 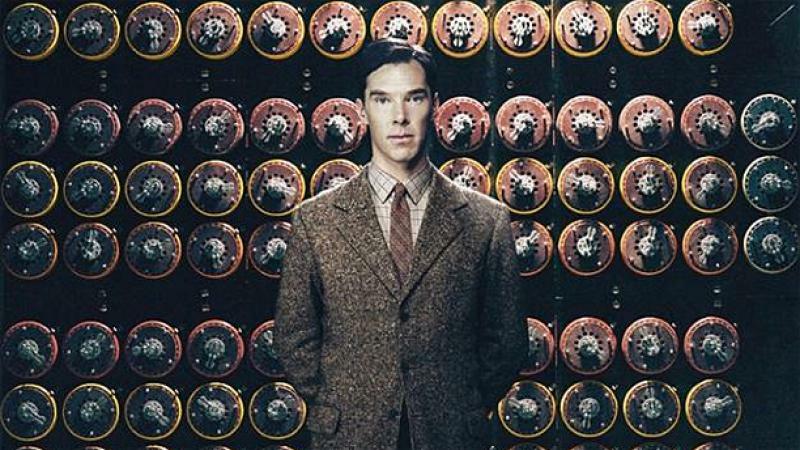 The Imitation Game topped Jan’s top 10 list in 2014. With regard to foreign films, like so many people of her generation who grew up in the late ’60s into the ’70s, she fell in love with the Nouvelle Vague out of France, and the new waves out of Japan and Italy. “If it wasn’t for Fellini, I’m not sure I’d even be sitting here.” Ida and Leviathan were her favorites this year. Defining her own critical style, Jan narrows it down to the emotional. “Everything for me comes from the emotion. Very little of my process is cold and intellectual, even though I’ve got that when I want it. I mostly talk from my heart.” She emotes on classic Hollywood in newsletters that she sends out to senior citizens in retirement homes. Otherwise, she admits to not being very ambitious about getting published. She writes her own copy for her television show because she’s under time constraints, but she’s more interested in her on-air projects than published work. She also loves lecturing in public. Her favorite lecture at the moment is one called “Reel Delicious: Food and Wine at the Movies,” which she delivers here and there, most recently at a private event for the San Francisco Yacht Club. One wonders when a transcript of that lecture might appear here on EDF? Michael Guillén is a freelance film journalist with one foot in the San Francisco Bay Area and the other in Boise, Idaho. He’s a member of the San Francisco Film Critics Circle, and has served as media liaison for the Sun Valley Film Festival and as a guest programmer for the Treefort Film Festival, Boise Film Underground, and San Francisco’s Yerba Buena Center for the Arts. He is a contributing writer to Cineaste, Film International, MovieScope, Ray and Fusion magazines, as well as online sites Fandor, MUBI, and Twitch, while administering his own website The Evening Class. This entry was posted in Films and tagged Castro Theatre, Films, Jan Wahl, Michael Guillen. Bookmark the permalink.